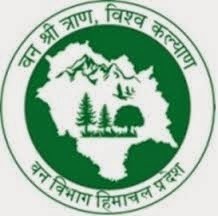 Himachal Pradesh Forest Guard Recruitment 2015 for 87 Posts :- The Forest Department Himachal Pradesh has inviting the applications for the recruitment to the 87 Posts of Forest Guard. So now all the eligible and interested candidates can apply for these posts of Forest Guard before the last date of submission of application. So if you are want to make your career in the Forest Department then it is great chance to you. Check more details below. Last date of application: - 22nd April 2015. Educational Qualifications: - All the candidates have passed the 10+2 from any recognized board or equivalent. How to apply: - All the candidates can apply through prescribed format of application and send it along with required documents to the address “Director, Department of information & Public Relation (Suchana Awam Jan Sampark Vibhag), Shimla, Himachal Pradesh”. Selection Procedure: - The Selections of eligible candidates will be made on the basis of Written Examination and Physical Ability Examination. Check the given official website of the Himachal Pradesh Forest Department for more details and information about Advertisement and the application format. Stay connected with us for more details and information about various Recruitment in India, Latest Govt. Jobs in India, Recruitment of Forest department, Jobs and more News. You can also subscribe us on our sites and also follow us on Google+, Facebook and Twitter to get our all the updates on your social profile timelines.